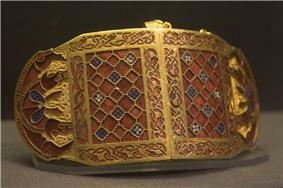 ^ No manuscripts are commonly dated before 600, but some jewellery, mostly Irish, is dated to the 6th century. Youngs 20–22. 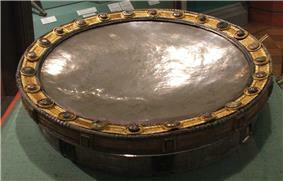 The early history of Anglo-Saxon metalwork is dominated by the early-7th-century finds at Sutton Hoo, but it is clear these were the product of a well-established tradition of which only smaller pieces survive. Wilson, 16–27. The earliest Pictish stones may date from the fifth century however. Laing, 55–56. 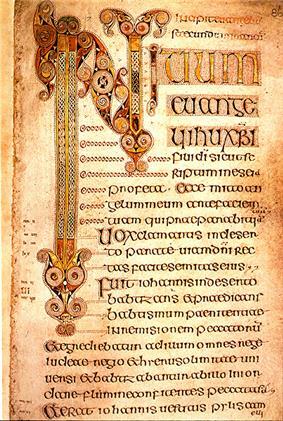 ^ The late Ricemarch Psalter is certainly Welsh in origin, and the much earlier Hereford Gospels is believed by many to be Welsh (see Grove Art Online, S2); the 10th-century Book of Deer, the earliest manuscript with Scottish Gaelic, is an Insular product of eastern Scotland (Grove). 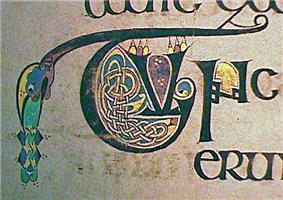 ^ OED "Insular" 4 b., though as it seems clear from their 1908 quotation that the use of the term was already established; Carola Hicks dates the first use to 1901. ^ Youngs, 134–140 catalogues two examples from Italy and one from Norway. See also Laing, who describes major pieces by period and area at various points. 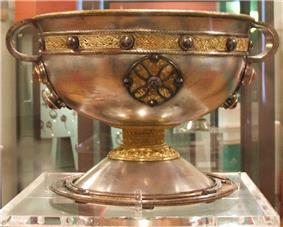 ^ Youngs, 125–130, and catalogue entries following, including the Derrynaflan Hoard. ^ Calkins 57–60. 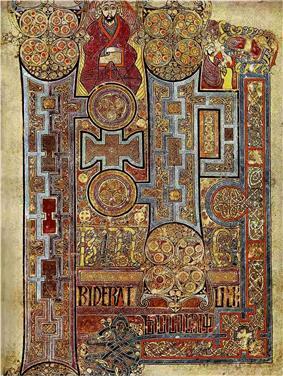 The 8th-century pocket gospel book Book of Dimma has a fine 12th-century cover. ^ Or "the second half of the sixth century" according to Schapiro, 229. 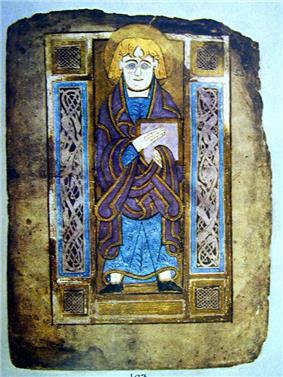 Calkins, 31–32 gives no date, Nordenfalk, 12–13 says 7th century. 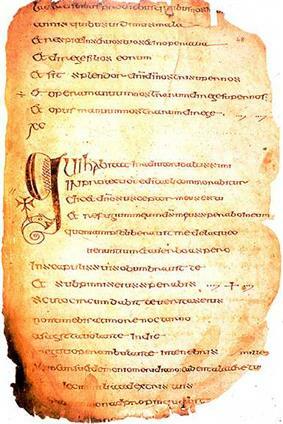 ^ Pächt, 63–64, in his chapter on the initial, which gives a thorough treatment of the subject. Nordenfalk, 12–13 has other images. 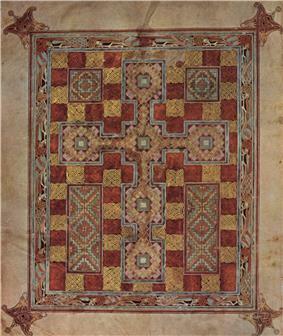 ^ Calkins, 33–63 gives a full account with many illustrations; Nordenfalk, 34–47, and 19–22 on Coptic influences; see also Schapiro Index (under Dublin), Wilson, 32–36 and index. ^ Calkins, 33–63 gives a full account with many illustrations; Nordenfalk, 34–47. ^ Bloxham & Rose, and images. ^ Alexander, 9 and 72. 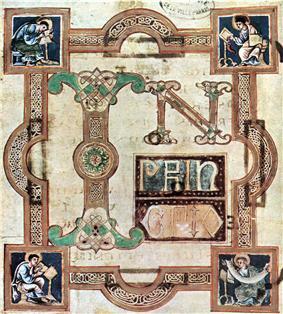 The tradition that St Cuthbert copied the Stonyhurst Gospel himself may be correct, though that attributing the Book of Kells to St Columba himself seems impossible. For other high-ranking Anglo-Saxon monastic artists see Eadfrith of Lindisfarne, Spearhafoc and Dunstan, all bishops. 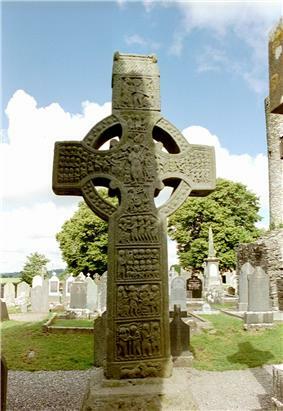 ^ Wilson deals extensively with the sculptural remains, 74–84 for the 8th century, 105–108, 141–152, 195–210 for later periods.